/r/Anime Weekly 2017 – 05 – R/ANN! Alaskan_Thunder found a oddly specific tumblr blog indeed that had nothing, but screenshots of powerlines in anime. Though it’s not quite as fantastic as the Ohoho-YouTube channel. This shouldn’t be rocket science, but given the massive 400+ comment thread it apparently is. brringfusty managed to bamboozle /r/anime. BeccaTheBaka created a fun comment collection of odd in-between frames. Users also reasonably pointed out that some of the derpiest still shots are part of actually great animation. IISuperSlothII is at it again, taking a critical look at comment chains in the example of Demi-chan discussion threads. The /r/anime moderation embraced the recent spoiler tag changes, which automatically obscure the OP of a thread that has “spoiler” in it’s title. It enables users and mods to retroactively add a spoiler to a thread, making the use of explicit tags optional and the need to remove threads temporarily smaller. What part of an anime became much more popular than expected? A fun thread by Kamilny that encouraged users to post odd parts of anime that became popular and well known in their own right. Why do older anime (90’s) have such a distinct art style? A lot of enlightening replies to this question, pointing out generations of distinct art styles and especially one from Spira‘s explanation on cel animation. What’s the most unexpected reference you’ve seen in an anime? Some references are expected, some are understandable and sometimes you get Renge jojoing her sister. Something not even the thread opener SmurfRockRune expected. kaverik collected and presented last month’s WT’s again. This time honouring the Shakunetsu no Takkyuu Musume WT! with gold. The first arc of Amagami SS successor Seiren has closed and the dent on the enthusiasm of the viewers is not the only one it left behind. This mildy confusing chart posted by Binarios shows a huge drop in the Seiren pre-orders. What’s a speech pattern you took over from anime into your own life? Surprisingly serious answers in this thread, as people tell how anime influenced their language expression. hello_navi asks for anime equivalents to western productions, followed up by the reversal. In the middle of an anime prank war with my friend/roommate. Need ideas! porpoiseoflife still has not given up. 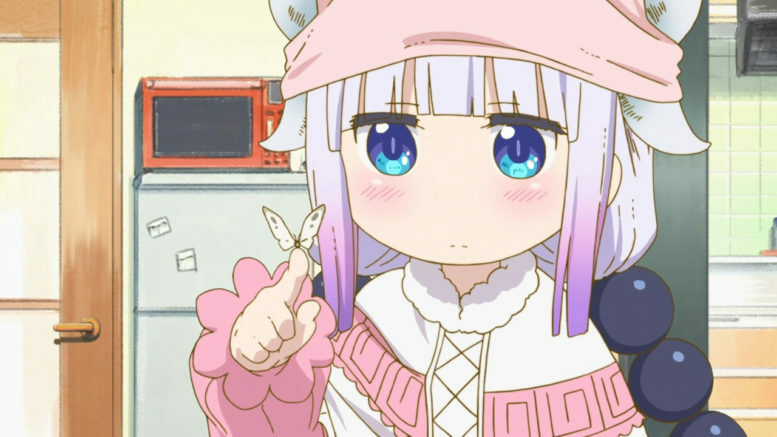 This week suffering through Tenshi Drop,as if there weren’t a better anime with dropping angels around. What is with the elevated sidewalk on a low grassy slope near a river in every anime? We started with power lines, we end with elevated sidewalks. People explain the purpose and background of these infracstructures. TAGS:Alaskan_ThunderAniMonologuesart styleBeccaTheBakaBinariosbrringfustyDon't try this at homeequivalenthello_navihentaiIISuperSlothIIin-betweenKamilnykaverikporpoiseoflifepreorderreferencesseirenSmurfRockRunespeech patternSpiranixWT! Be the first to comment on "/r/Anime Weekly 2017 – 05"